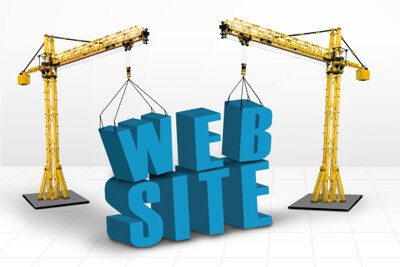 We love building websites! No matter if we are starting from scratch or updating an existing website to modern standards—creating websites is our passion. Our process is built on a flat fee based program...you know right up front how much it will cost and if during the development process you are not happy, we guarantee a full refund of your deposit. Internet technology is always changing, being improved and shifting based on consumer behavior—your website must keep up or you’ll be left behind the competition. Our website development process is fast, affordable, and effective. We include SEO as we build—incorporating the important meta variables, keyword research, and target customer context up-front. Over the last seven years we’ve built and deployed over 1,500 websites for small businesses and non-profit organizations. We do all the work in-house. Most of our customers want a WordPress website, but we’ve built sites using Adobe Muse, Concrete5, Joomla, and Drupal (to name a few). We have also worked with Magento, ZenCart, OSCommerce, Shopify, ECWID, and WooCommerce. We have even built websites on Wix, Weebly, and SquareSpace. Our service is less about the platform and more about the target customer and your business goals. We work collaboratively with you to create the website…you are the expert in your business and thus we need you involved in the content writing process. We install Google Analytics on every website we build. We use advanced tracking software to understand the traffic coming to your website; but success is measured in leads generated. If the phone doesn’t ring or web requests for more information get completed, then your website is not up to snuff…We cannot close the deal for your service based business on the website: so we are always striving to get people off the website and connected to you personally—that is when business can happen. We have over 30 years of business experience and the college degrees to back us up. Zenith Exhibits has been in business for over 12 years working with thousands of businesses all over the United States. Experience counts and if we know we cannot be successful with your website, we’ll say so upfront. Click or call today to schedule a free consultation to see if we can help your business with a new website.